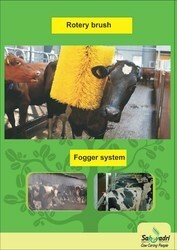 Cow Rotary Brush are made as per the specification given by the customer. The overall diameter and length can be varied. The brush can be offered with or without shaft. Application areas are truly vast which includes various cleaning applications for animals. in particular on the cow’s back, will aid the release of heat through the skin. Cows enjoy rubbing themselves against things, it is part of their nature. The brushes from GEA Farm Technologies are ideal for this. 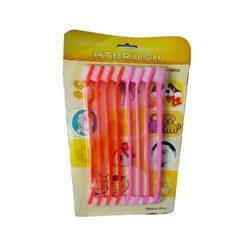 We are widely engaged in offering a large assortment of Rubber Brush to our valuable clients. These Brushes are quality approved against the defined industry norms and standards by the qualified quality professionals. In line with clients' diverse requirements, we are involved in providing an optimum quality range of Cow Brush. Application: Grooming and Cleaning purpose for pets.